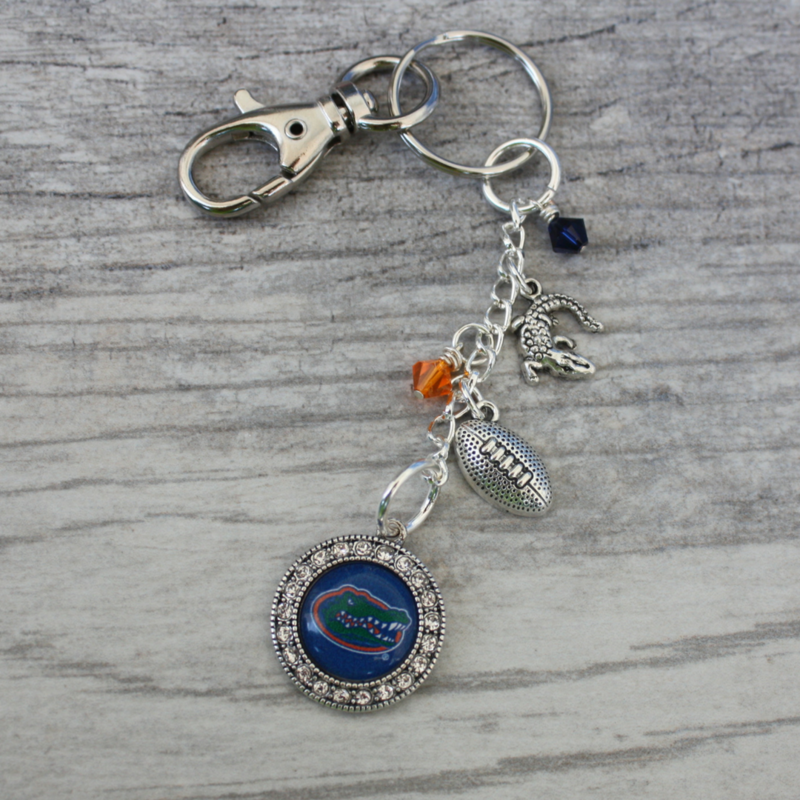 Calling all Gator fans. 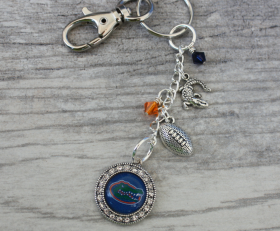 This keychain or purse charm has the University of Florida logo, a gator charm and a football. It’s accented with blue and gold Swarovski crystals.